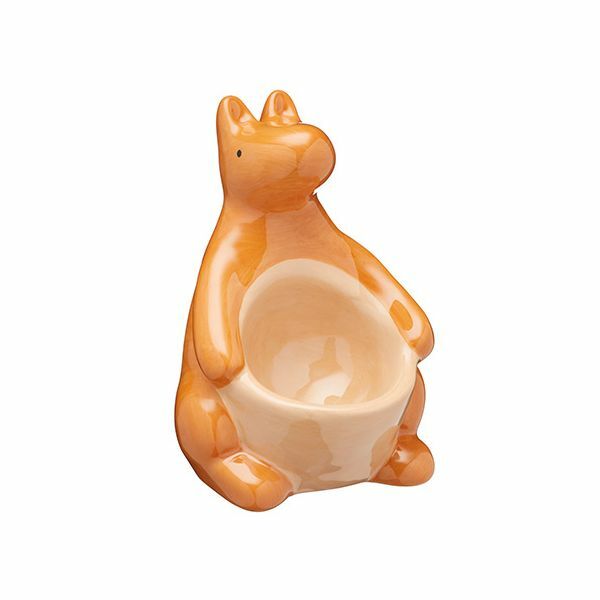 The KitchenCraft novelty kangaroo egg cup is made from ceramic and is ideal for serving your boiled egg for breakfast, lunch or snack. 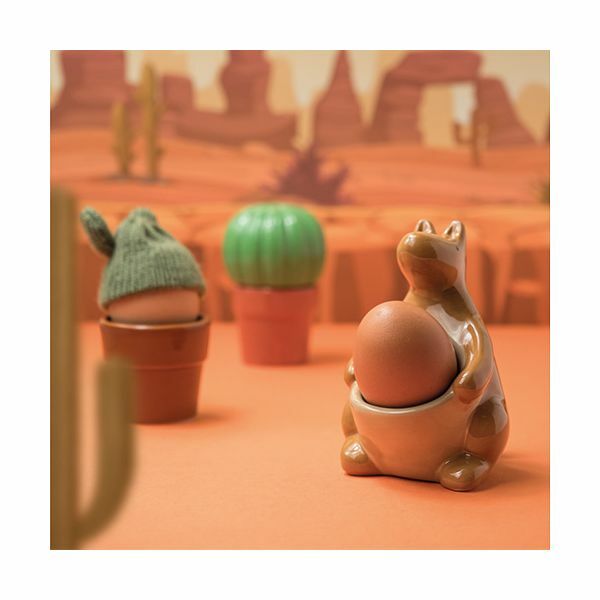 The kangaroo egg cup securely holds your egg in place whilst your dip your soldiers. 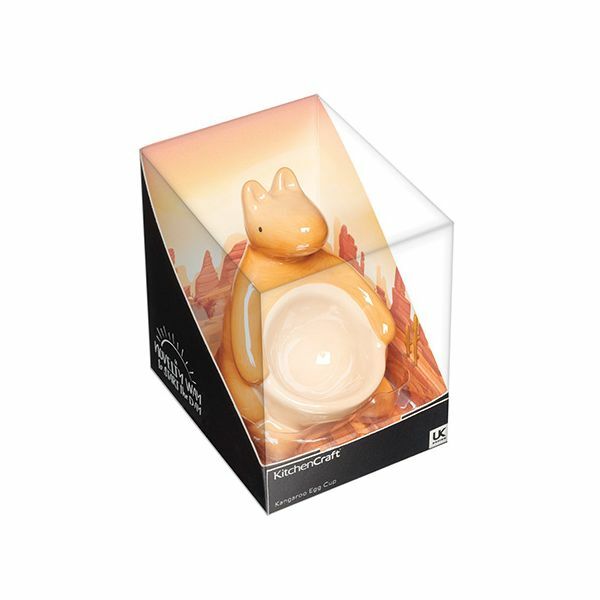 This novelty kangaroo egg cup makes a great gift for friends and family, especially those who love bouncy kangaroos.